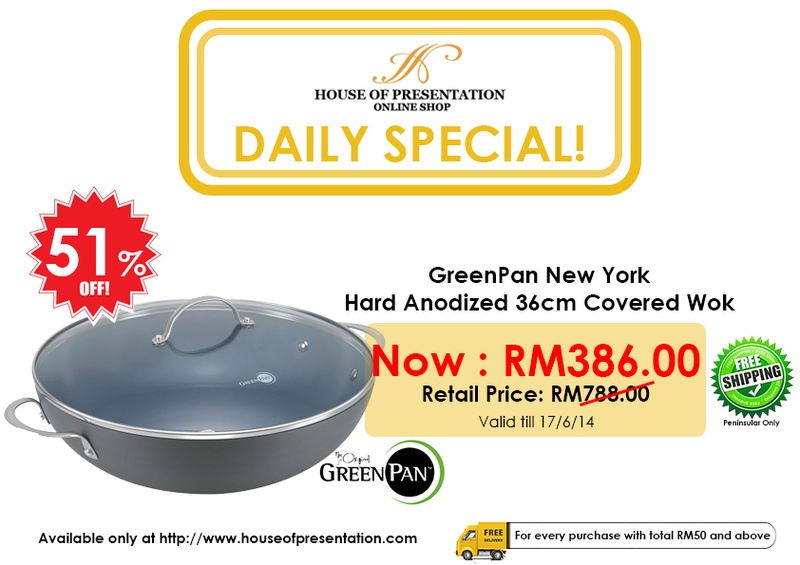 75% OFF – Daily Deal – GreenPan New York Hard Anodized 32cm Covered Stiffry Wok Offer Ends On 17 April 2014. 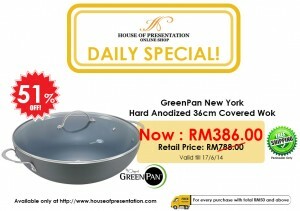 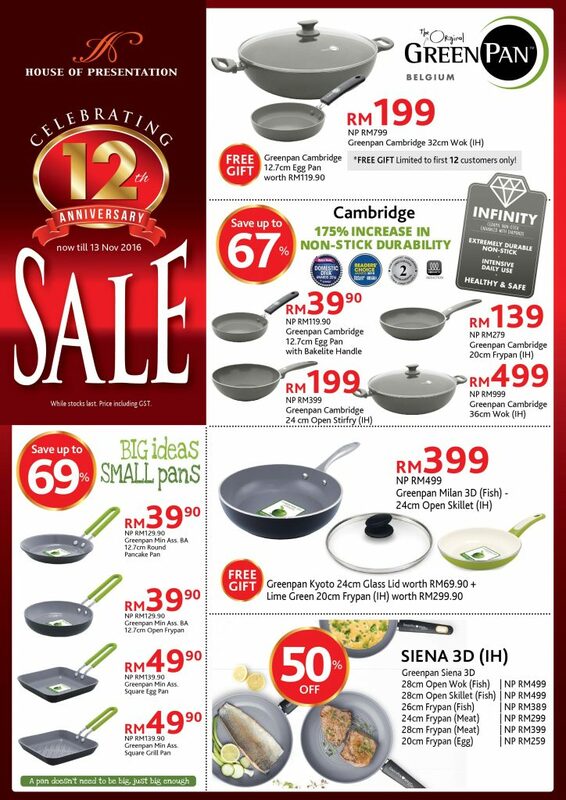 50% OFF – Daily Deal Promotion – GreenPan Kyoto Black 28cm Skillet with Induction – Now Till 23 March 2014. 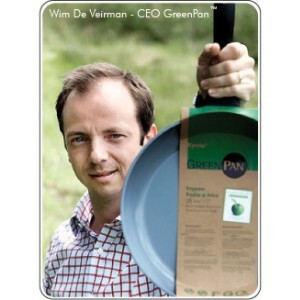 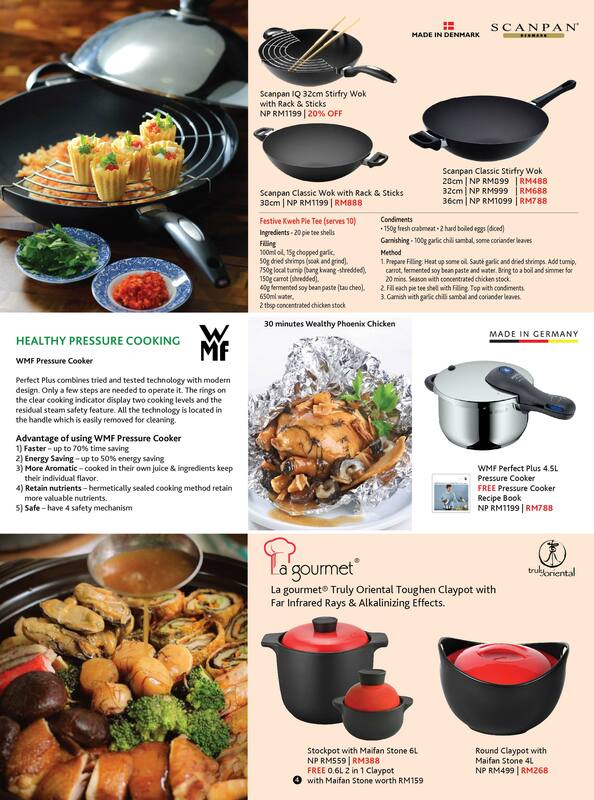 GreenPan is a Belgian Cookware manufacturer which is the first to launch PTFE free non-stick cookware. The GreenPan family brings you ranges of beautifully designed, technologically advanced cookware pieces with a unique environmental message: Each of our products makes a serious commitment to your Health, your Convenience and the Environment. 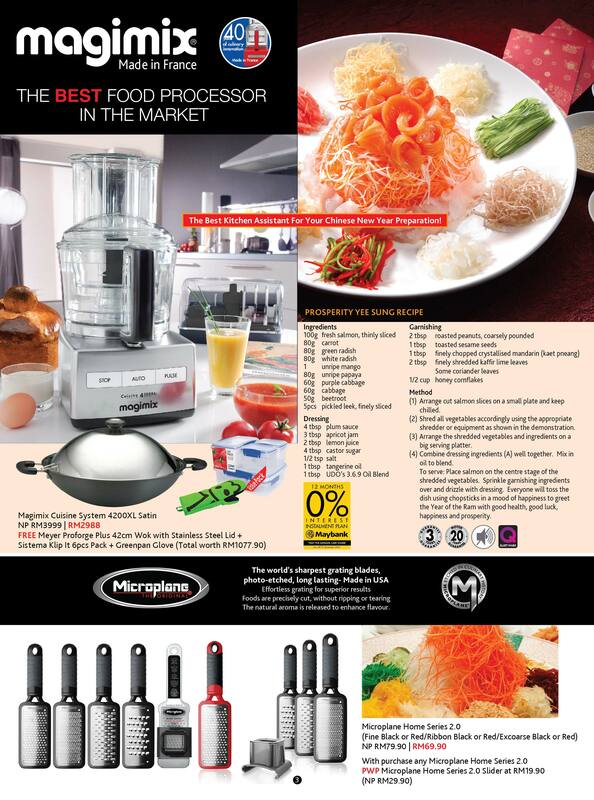 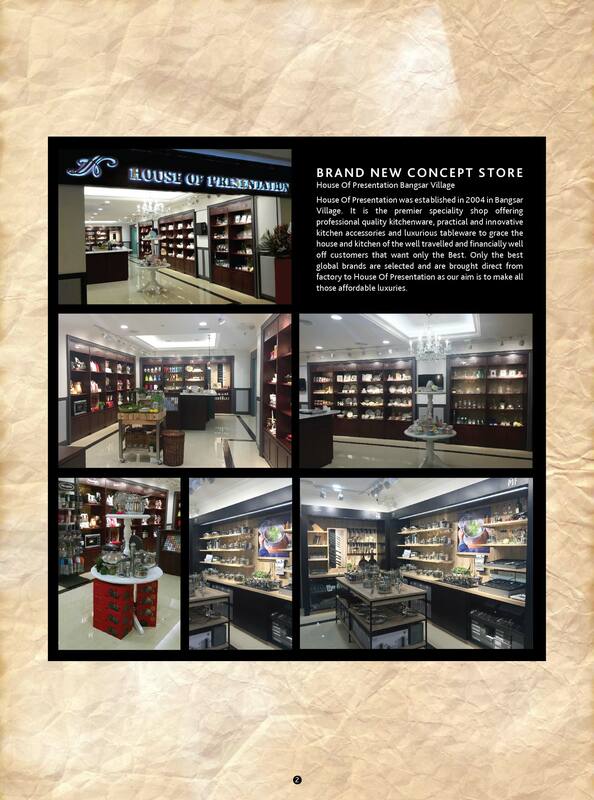 Thermolon & trade; is a natural ceramic non-stick coating made from minerals instead of plastic synthetics! 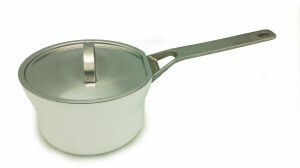 It contains no PTFE/PF0A! 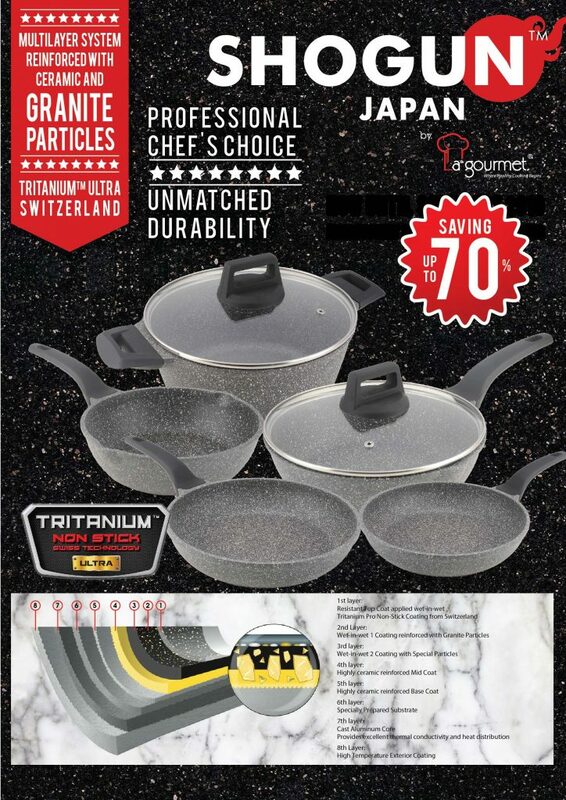 * So if you accidentally overheat your pan, even up to 450°C / 850°F, you will not release harmful fumes, and the coating will never blister or peel. Independent tests have proved that GreenPan performs outstandingly across a whole variety of tests – Food release, Hardness, Abrasion resistance and Heat resistance. 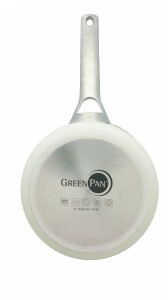 Greenpan’s Thermolon coating is an excellent heat conductor. 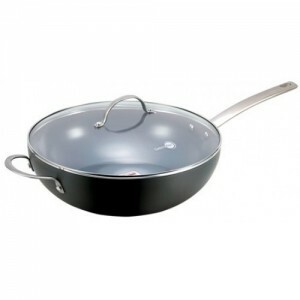 This gives you superb searing, browning and crispy frying! Our cookware allows you to cook evenly on low to medium temperatures, which makes your GreenPan great for your energy bill & the environment! As there is no PTFE in the coating, no PFOA can be emitted in the environment! 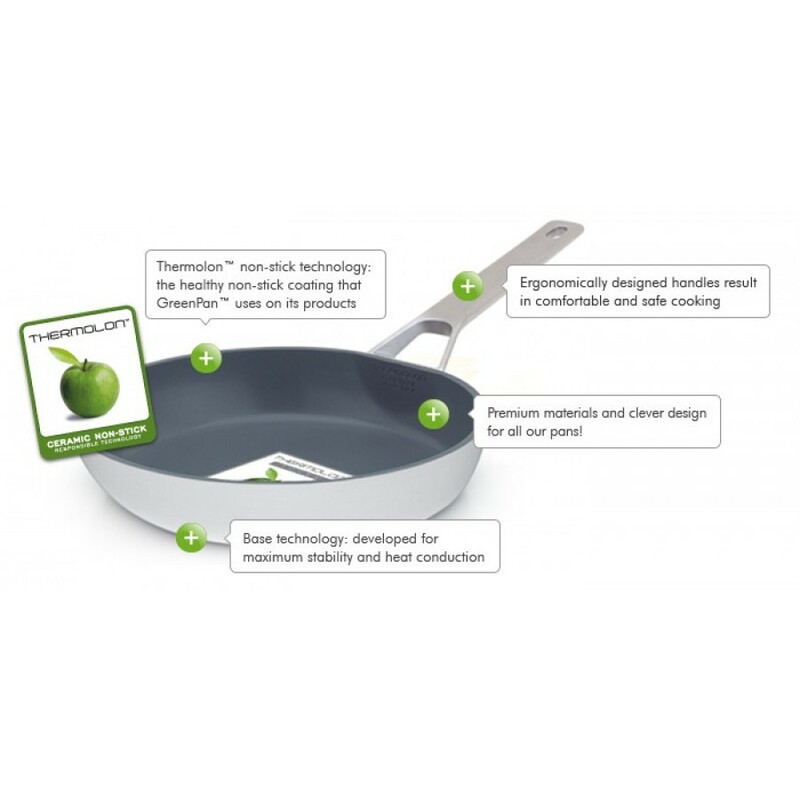 The Thermolon coating is applied in one coat at lower temperatures meaning less energy is used – the application creates approximately 60% less CO2 emission compared with the production of PTFE-coated pans. We use recycled stainless steel for handles and recycled material in the aluminium bases. 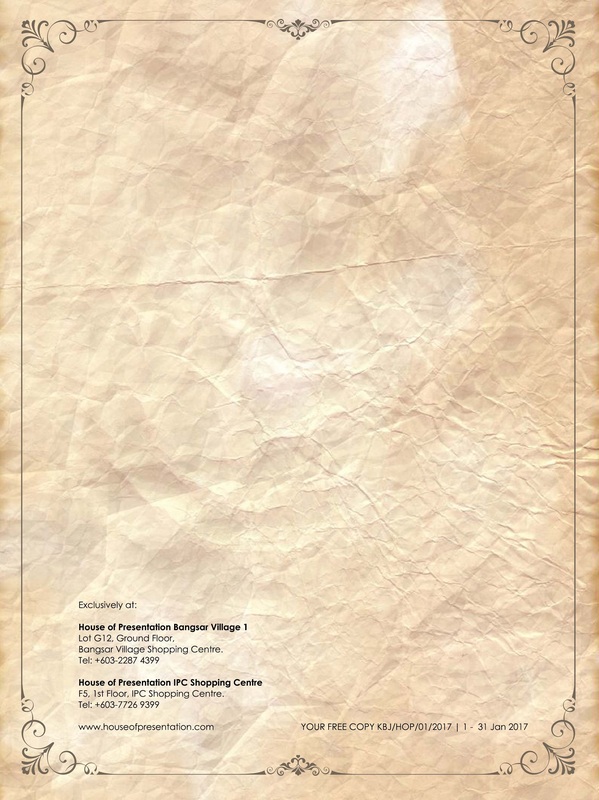 Even the packaging is mostly made of recycled materials, with minimum use of ink! 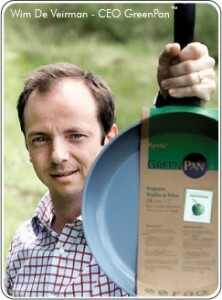 In short, GreenPan products are healthy, easy and eco-friendly! 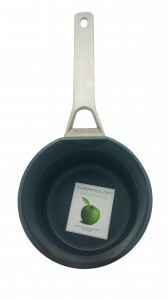 The Kyoto range offers you a true alternative to traditional PTFE based non-stick cooking. 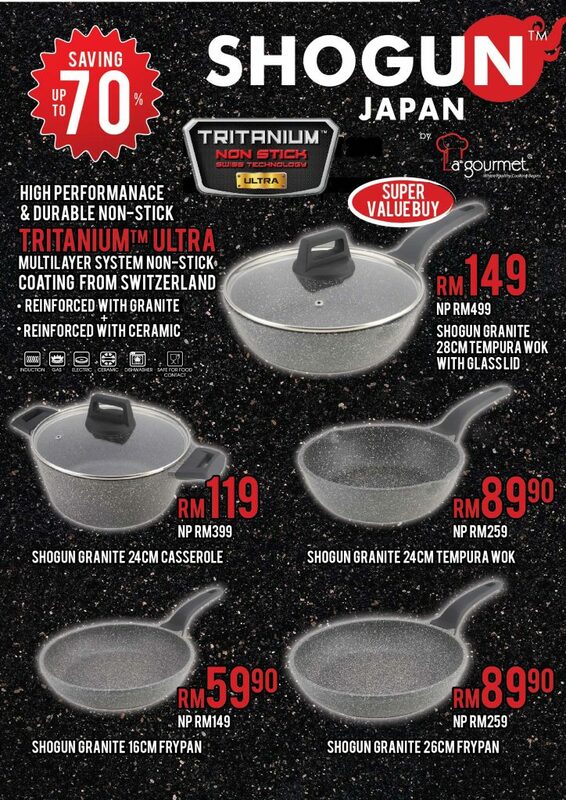 With a classic design and exceptional non-stick performance the natural ceramic coating is guaranteed for two years and will not blister or peel. 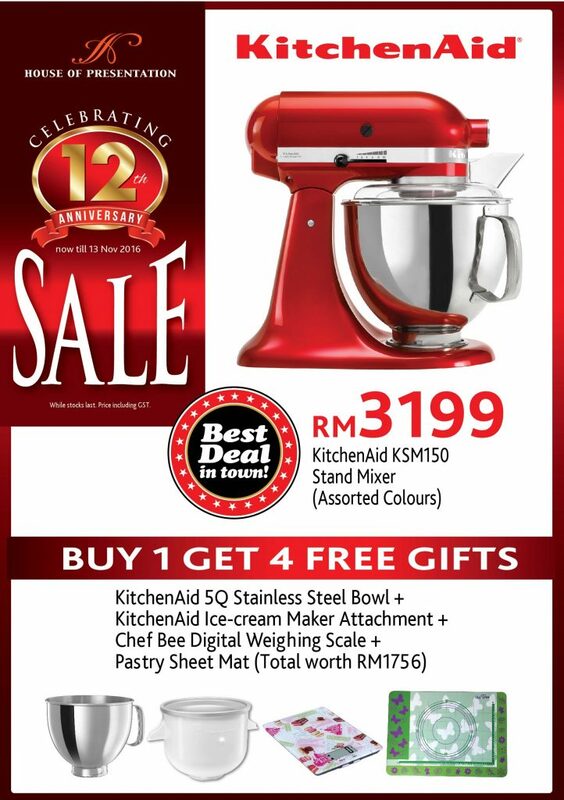 The body and handle is guaranteed for five years. 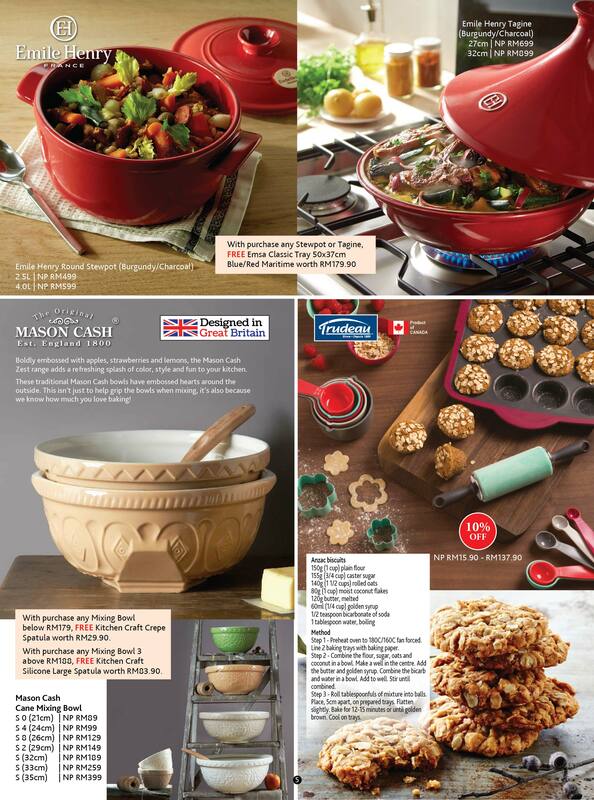 64% OFF – Daily Deal – GreenPan Helsinki Cookware – Offer Ends On 20 Feb 2014 . 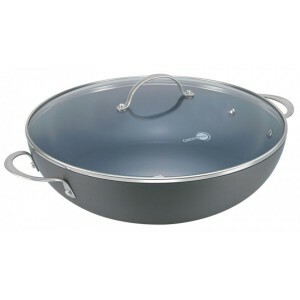 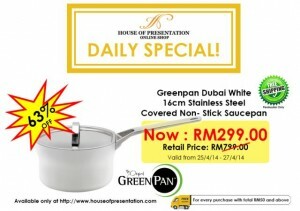 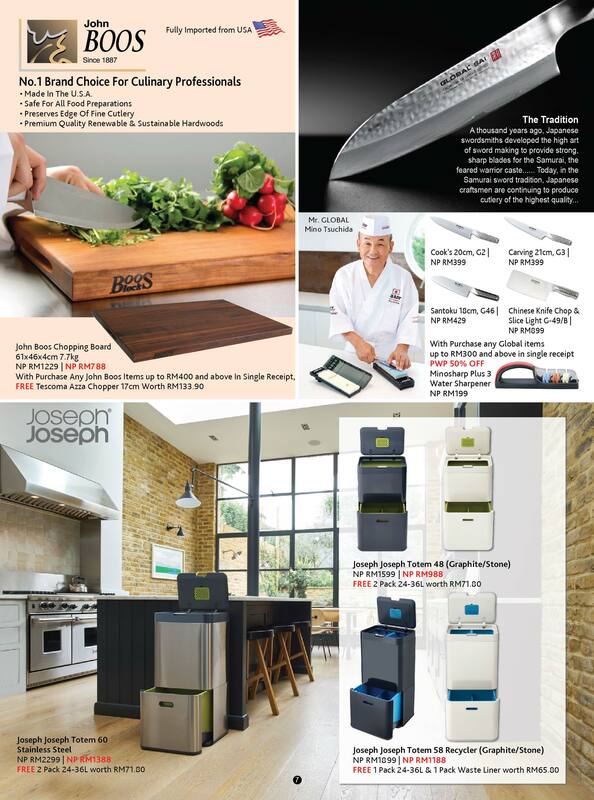 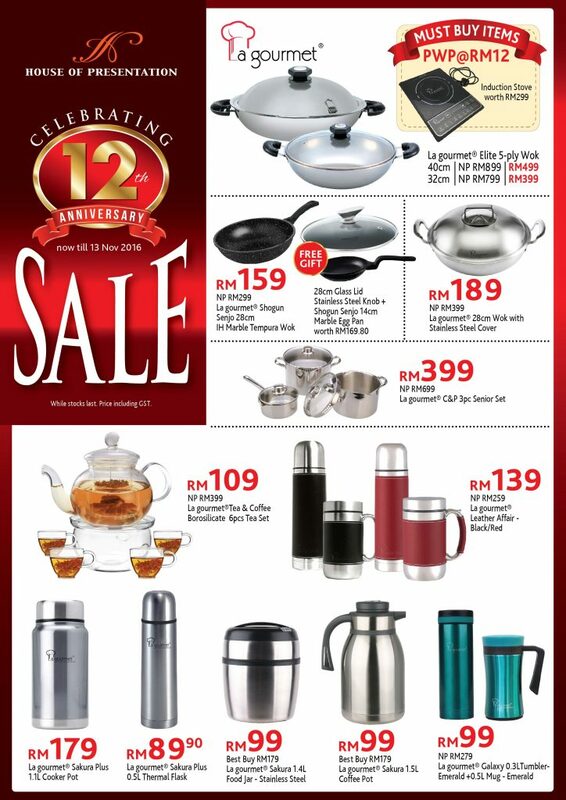 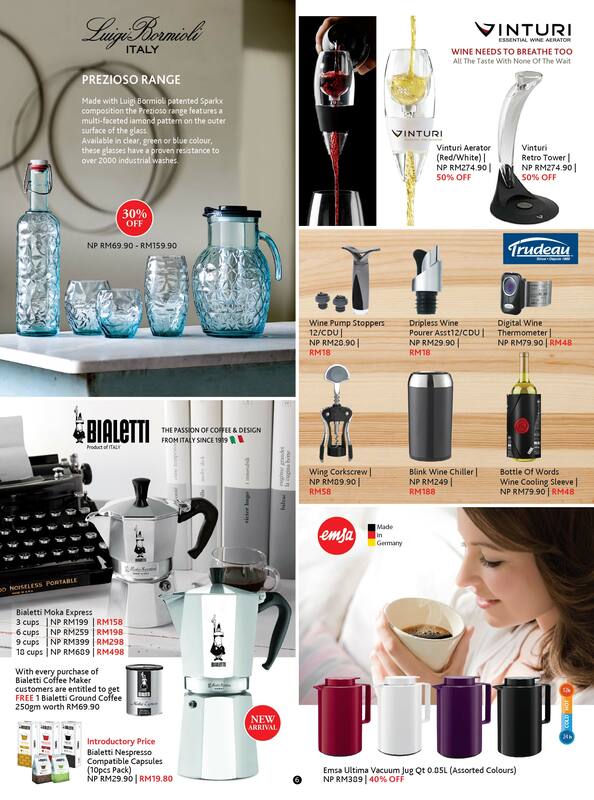 64% OFF – Daily Deal – GreenPan Helsinki Cookware – Offer Ends On 20 Feb 2014 .Daily deal only available on www.houseofpresentation.com.What are you waiting for? 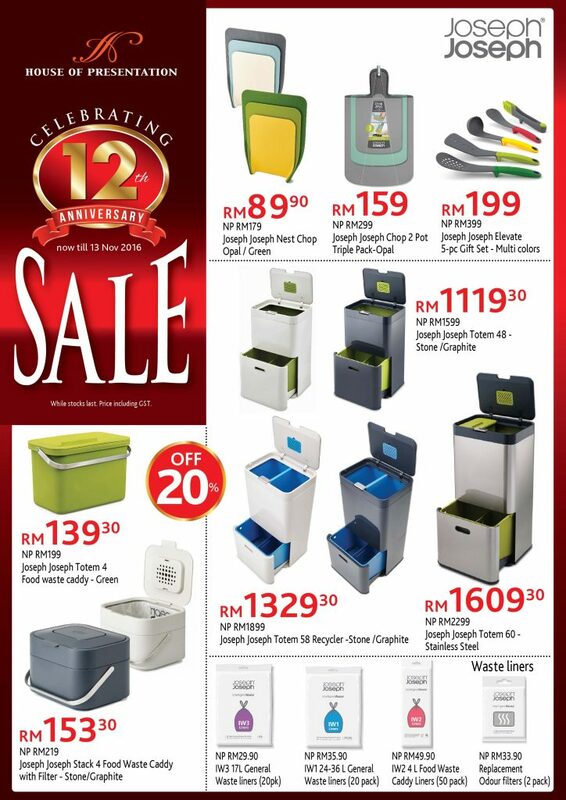 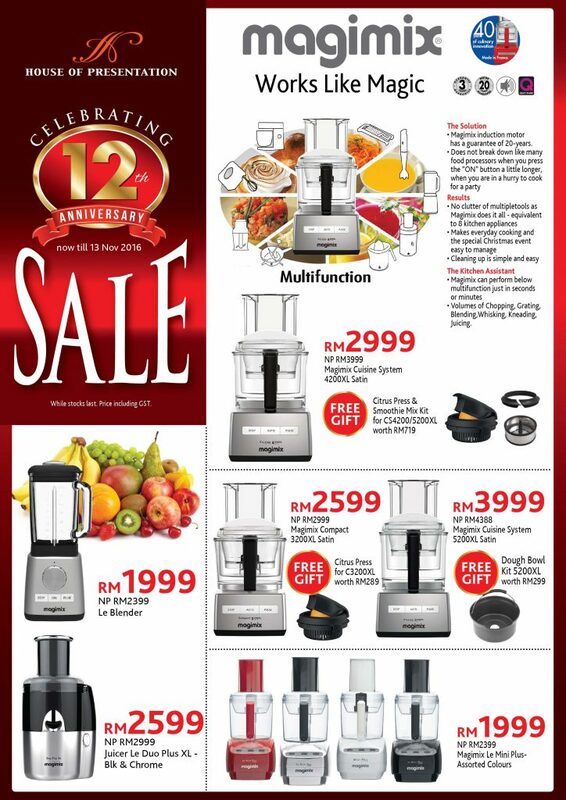 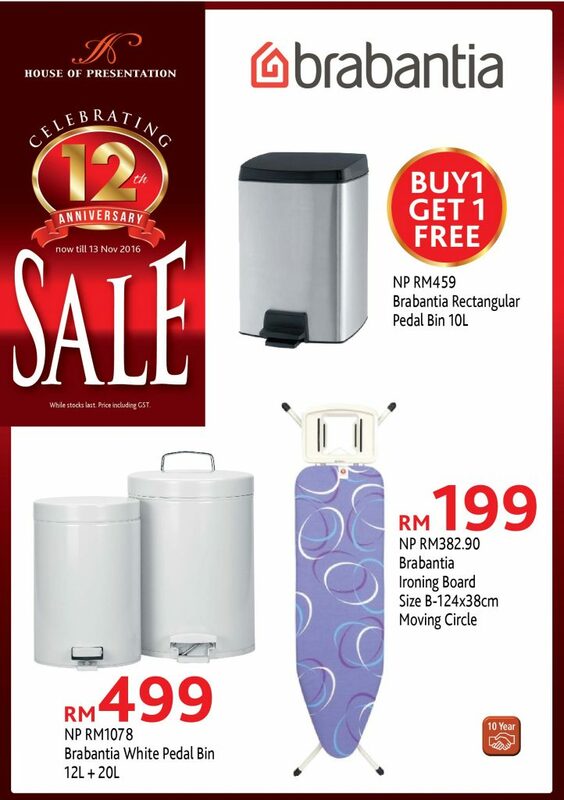 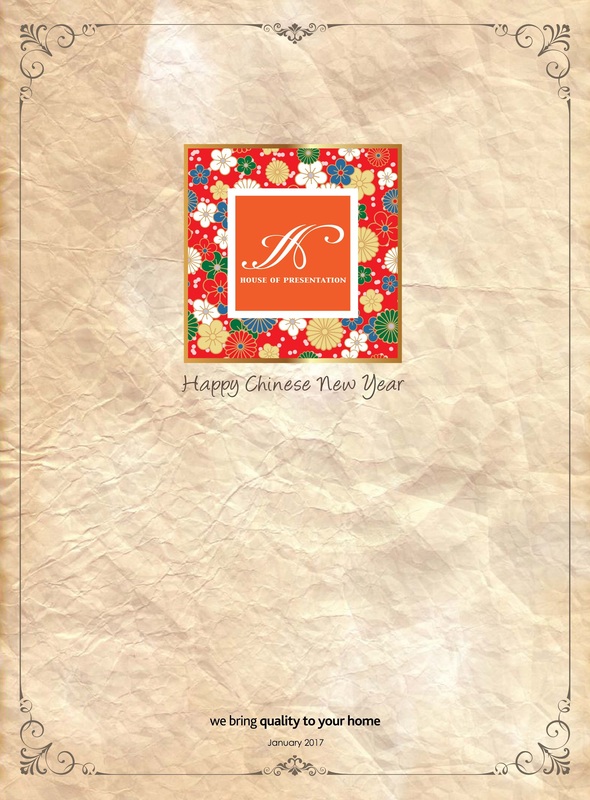 Grab it while stock last.